As an employer, no matter where you turn, you are exposed. Robbery & Theft, “slip and fall” accidents, employee negligence and misconduct, work place violence and many more threats expose your company everyday, but they don’t have to. As a licensed private investigative agency, we are called upon all too often to try and fix these exact problems. The majority of the time, they could have been prevented if a properly designed and installed camera system was in place to capture ill-refutable evidence of what has occurred, in and around your business. More importantly, we can design and install a system that meets your needs, and your budget! In the past, many employers could not afford a quality CCTV system. Technological advances now allow us to offer exceptionally high quality systems, which give all of the above benefits at very reasonable prices. Many of our clients find that the money they save on their liability insurance premiums pay for the system within the first year! We also install home/residential systems and offer camera rentals to safeguard your home, office and/or special event. All of our installers are trained and experienced in system design, installation and maintenance. The systems we install are designed to blend in and appear discreet to prevent clients, customers and employees from feeling intruded upon. Don’t need to buy a system, just want to rent one? We have security camera systems to rent for both commercial and residential uses. These rental systems are designed to be easily installed and operated while remaining totally hidden to the public. The security cameras are disguised in many different industrial and household items, ranging from smoke detectors to alarm clocks. Note: certain restrictions apply to system rental. Please call one of our customer service representatives for more information. ASG is based in Metro-Detroit and operates throughout Michigan. If you are or you are not, don’t worry.We are familiar with providers located throughout the United States and Canada. Our staff would be happy to refer you to a dependable, reliable provider in your area. Why a Hidden Camera may be the Right Choice for You! Covert camera otherwise known as spy or hidden cameras have become more and more popular in recent years. Some of this sudden popularity is due to a result of highly publicized cases of children abuse by baby-sitters, which were uncovered by the use of hidden cameras. Other reasons might be related to the lowering cost of manufacturing such cameras, which has made them more affordable for the general market. In most applications, covert cameras are used as stand alone units connected directly to a security time lapse recorder or digital video recorder (DVR). But they can also be very effective in enhancing a video security system. 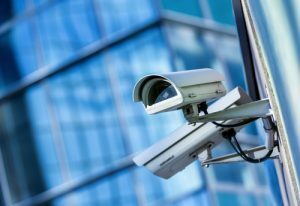 If most cameras within a video security system are in plain view, they are more susceptible to vandalism or avoidance by the subject being monitored. It is in these areas where a hidden camera could be helpful to monitor a high value item such as a safe, cash register etc. In such high security areas where currency exchanges hands or is temporally being stored, employees are aware that they might be monitored. Therefore hidden spy cameras may be used and their location or the fact that they are installed may not be disclosed. However, it is recommended that you consult with a local attorney before installing any covert video equipment.